Come down to Island Mazda near Freehold, NJ to test drive the all new 2017 Mazda CX-5 Touring. Every angle and aspect of this best-selling CUV has been improved to make driving better, thanks to over 250 enhancements. With features like a quieter cabin and available stunning Metal Wood trim, Mazda designers and engineers accomplished it all without sacrificing driving dynamics. 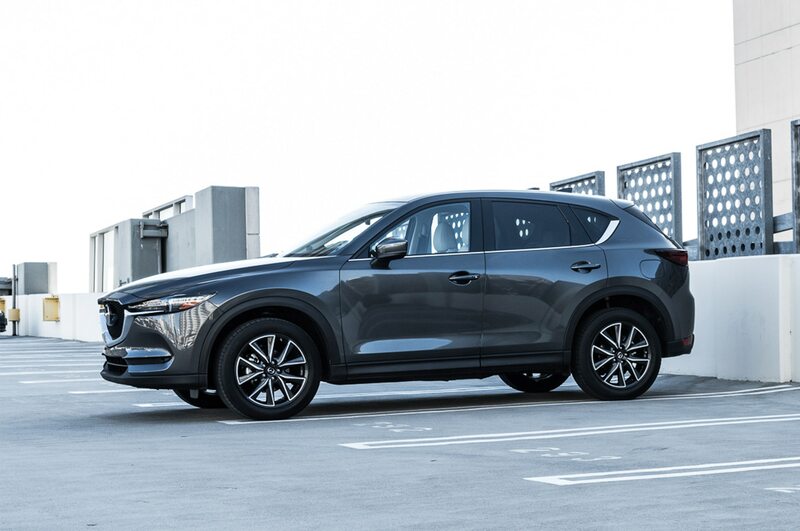 As a result, this carefully crafted and refined CX-5 achieves the impossible: the perfect unity of versatility, spaciousness, innovation and impressive efficiency, with up to an EPA-estimated 31 highway MPG. A connection from the very first touch — passed from the hands of the craftsmen who created it. This is the philosophy behind Mazda’s human-centric design for crafting the interior of the 2017 Mazda CX-5 crossover. Thoughtfully selected textures and finishes. Perfect positioning of door handles and controls. An expansive and intuitive space designed equally for driving enjoyment and rejuvenation. For both its driver and passengers. Weather and road conditions can change in an instant. That’s why available i-ACTIV AWD predicts when all-wheel drive might be needed, monitoring everything from outside temperature to throttle input and braking patterns. It then preemptively optimizes torque distribution to help curb traction loss. You may never even notice the change. Which is exactly what Mazda intended. Small details can make the biggest impact. This kind of thinking inspired Mazda engineers to spend years developing SKYACTIV-VEHICLE DYNAMICS with G-Vectoring Control — a subtle new technology standard on the all-new CX-5, and designed to help achieve a smoother, less fatiguing drive. When cornering, on initial turn-in and throughout, the system works seamlessly by adjusting power delivery and shifting vehicle weight. The only thing a driver will notice is how great the drive actually is. We wouldn’t have it any other way. Available Mazda Radar Cruise Control with Stop & Go function works within a set speed range to help maintain a safe following distance from the car ahead, alerting you when it senses your vehicle fast approaching. If the vehicle ahead stops, your vehicle will automatically stop and hold in a standing start until you resume driving. An alert function lets you know when the car ahead has pulled away. Stop by Island Mazda near Freehold, NJ to experience the innovative 2017 Mazda CX-5 Touring. You can also browse our online inventory of CX-5’s here. We look forward to doing business with you!